Credit scores aren’t as cut-and-dried as you may think. 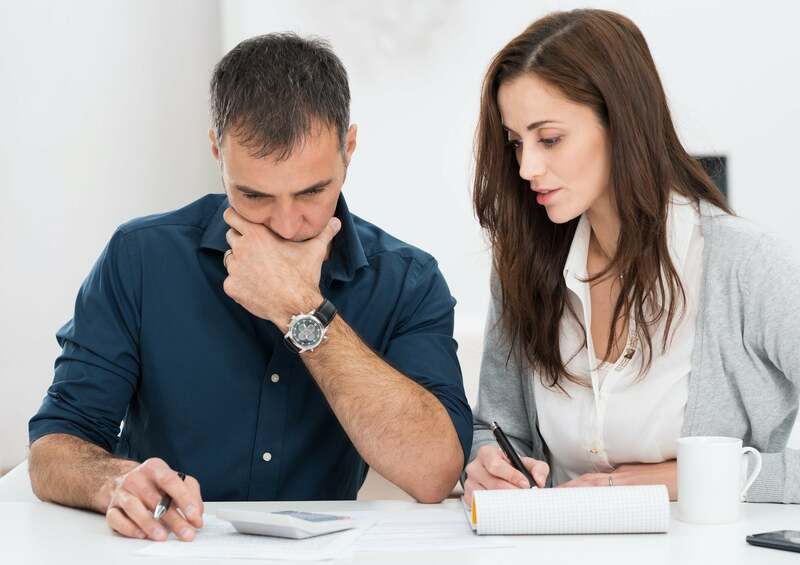 In fact, there are many factors that go into determining your score, and knowing the weight that is placed on each can help you better understand how to clean up your credit, or how to keep your credit score from falling in the first place. Payment History (35 percent) – This is the most important factor in your credit score and any record of late payments will have a negative impact. Age/Length of Credit History (15 percent) – The longer you’ve had credit established, the better for your score. New Credit/Recent Inquiries (10 percent) – While occasional inquiries or opening a new account won’t negatively affect your credit, having many inquiries or opening a number of accounts within a short period of time represents a risk and can lower your score. Credit Mix (10 percent) – This factors in the number and types of accounts you have in use. Types of accounts include credit cards, retail accounts, installment loans, finance company accounts and mortgage loans. Credit utilization is the second-most-important factor behind payment history when it comes to calculating your credit score. To determine this part of the equation, credit bureaus look at your balance-to-limit ratio. When scoring your utilization, FICO takes into account both individual card usage and total card usage — or the total of all of your credit card balances compared to your overall credit limits. High utilization in either of these categories can cause your credit score to drop. That’s because the credit bureaus view high utilization as a risk that you may be more likely to default on your credit repayment obligations. Your balance on any given credit card generally should not exceed 30 percent of your credit limit. Staying below 30 percent can make a positive impact on your credit report because it shows that you’re only using a small portion of the credit available to you. To calculate your own utilization on each of your cards, divide the balance by your credit limit, then multiply by 100. The best way to keep your credit utilization in check is to pay your balances in full each month. Making payments before the due date can also help. Because credit card information is updated to the credit bureaus based on billing cycles, your credit score may not reflect your most recent balance or credit limit. Instead, the information as of your account statement closing date will be used in calculating your credit score. While maintaining credit utilization of less than 30 percent is crucial in order to clean up credit reports, it’s also important to understand the role non-usage of open accounts plays in determining your credit score. Overextending yourself on credit will certainly drag your score down, but a lack of credit use can also have a negative impact. A lengthy period of inactivity on your accounts can lower your score, or make it difficult for the credit bureaus to calculate your score at all. With payment history being the most heavily weighted factor in determining your credit score, it’s important to remember that using your credit after an extended period of non-usage won’t immediately boost or establish your score. Most credit scoring models require several months of usage to calculate a score. When it comes to credit utilization, being smart about it and never overextending your limits will give you the best chance of maintaining a good credit score, or raising a low credit score. Understanding all of the factors that affect your credit can be difficult, and if you’re in need of credit repair services, Lexington Law can help. We understand your credit report and can help you leverage your rights to ensure that your report remains fair and accurate. Contact us today for your free credit report summary and consultation. This entry was posted in Credit 101 and tagged Credit Repair, credit report, Credit Score, credit utilization. Bookmark the permalink.